Qantas is one of the only airlines in the world who, despite having bucket loads of cash, can’t actually find the right aircraft for their planned routes. Why? Because they want to fly from London to Sydney direct. No stopping in Dubai, Singapore or Hong Kong, no fifth freedom routes and no code-sharing with other carriers. Qantas wants to become a worldwide reaching airline, with a single hub on the east coast of Australia. An aircraft that can do this doesn’t exist yet*. An Airbus A350 and Boeing 777X come close but fall short of the very high standard that Qantas is demanding. Boeing. so far, is in the lead, with their private variant of the 777X that can fly to nearly everywhere in the world. But as speculation runs rampant, few have asked if these routes (London to Sydney, Melbourne, etc) would even be profitable for Qantas. How profitable is London to Sydney currently? We know from a previous article that their A380 routes that fly from London to Sydney via Singapore can be very profitable. A current challenge faced is a difference in headwinds. Whilst a direct London to Sydney route might be profitable, the return journey might burn so much fuel and the plane be so light (less cargo or passengers to make the trip) that it negates any profits made. But the main driver of this profit is premium customers; airlines such as Qantas barely make anything off economy passengers. And what do these premium passengers value more than money? Time. They want to get to their destination as quickly as possible and without the hindrance of layovers. Enter direct routes to Australia. A flight from London to Perth, for example, would normally take around 20 hours. Direct on Qantas, it only takes 16 and a half. This speed advantage means that Qantas can increase prices, to around double what it would normally cost. First launched in 2018, the London to Perth direct route flown by a Qantas 787 has since achieved load factors of over 90%. This is almost unheard of for a new route. 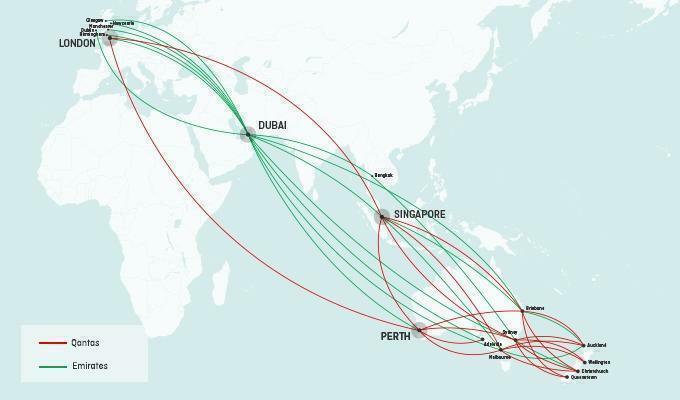 Qantas is confident that the same load factors will apply for other direct routes, and thus that they will quickly become the most profitable routes in the world. “But it’s the non-stop flight from Sydney and Melbourne into London and New York that will generate the real excitement. 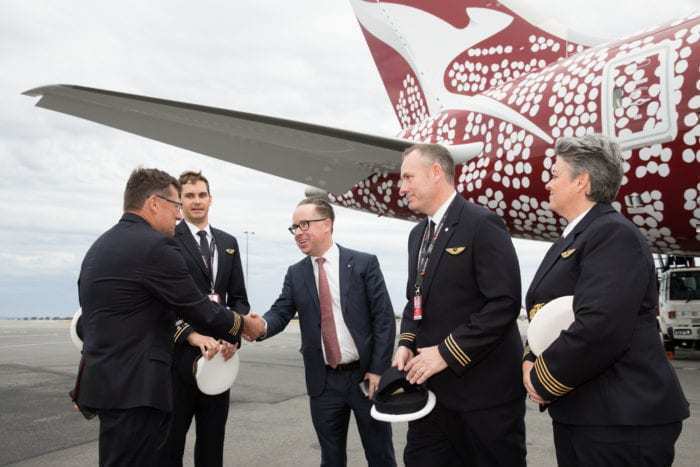 I know Alan Joyce has that in his sights if this goes well.” – CEO of Flight Center, Graham Turner. We will have to wait and see. Let us know in the comments what you think!. *Technically a 747-400 once flew from London to Darwin direct with no stopping as a publicity stunt, but it had no cargo or passengers on board and minimal crew. It was even towed to the runway as to not burn fuel moving under its own power. Such ultra long haul flights certainly will appear to be a positive business case. 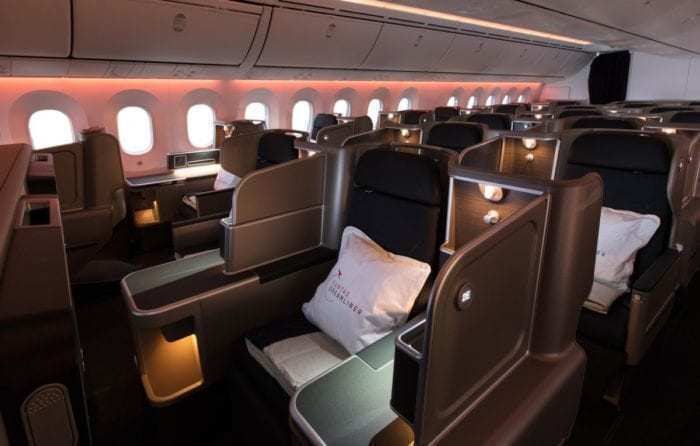 The advantage for the airline is initiated by the demand for a larger the business class area on these planes. more better fare fees and even more important less weight. The latter enables longer hauls to cover. And the longer distances to be covered, the better the advantage of gaining travelling time is, justifying an extra fare fee upswing. By writing so I am not advocating that half of the world should fly in this way these routes. But it certainly is a resourceful niche playing par for aviation industry, with an, on the long run, steady profitable outcum. To be considered is the environmental aspect. The cutting edge of carrying the extra amount of kerosene in the beginning of the flight. But airlines are knowledge able enough making those calculations as there it is a severe financial trigger as well. These constraints will widen up as aircraft manufactorers succeed in further weight reduction of their future aircraft. This will progressive mitigate, compared to todays aircraft, those extra tons of fuel. This is the urgent need for the decade to come and thereby the next big game changer in of course the whole of aviation industry. So perhaps, as Norwegian announced, financially driven today, it’s an all over wise idea for airlines to postpone their todays orders and convert them in a later stage to that next Lighter Weight Generation kind of aircraft. It is a VERY long way. you are carrying a lot of fuel to do it in one hop. Why don’t they stop in Sri Lanka (or somewhere where there is a not very busy airport) (almost exactly half way) and have a very quick refuel and get off within an hour ? OR, fly one hop to Sidney and two hope back. Why don’t they stop and have a quick refuel..
Because that’s what they do right now when it comes to stopping in Singapore. The turn around is about as short as it can get when it comes to the fact that stopping requires maintenance checks, crew checks, swapping of food/cargo and not at the very least the fact that disembarking passengers, who, rightly, expect that if they are being forced off then they be given time to use that as minimal break to use lounges/toliets/showers etc. Basically, your suggesting swapping a highly efficient 24/7 airport like Singapore or Dubai with one that may not have the facilities or turn around to do anything faster anyway. The only solution is direct – the experience with Perth-London shows that and news of future Perth to Paris and Frankfurt speaks a lot how non-stop is generating a market when there was none before. The Qantas 747 actually flew nonstop LHR-SYD. Not Darwin. Much further. Now retired to an aircraft museum on the south coast of NSW, Australia. You can guarantee an average fare on the one stop that is significantly higher than the middle-east or Singapore, stop and fuel option, IF Qantas chooses to go with higher fares on the 1-stop Businessman’s special. With 90% of the seats full, Qantas you don’t have a problem you have an opportunity. Stick with the 787-9 until Boeing can offer the 777X WorldCruiser or WorldBeater option.